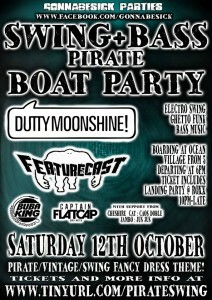 Epic Boat Party this Saturday! 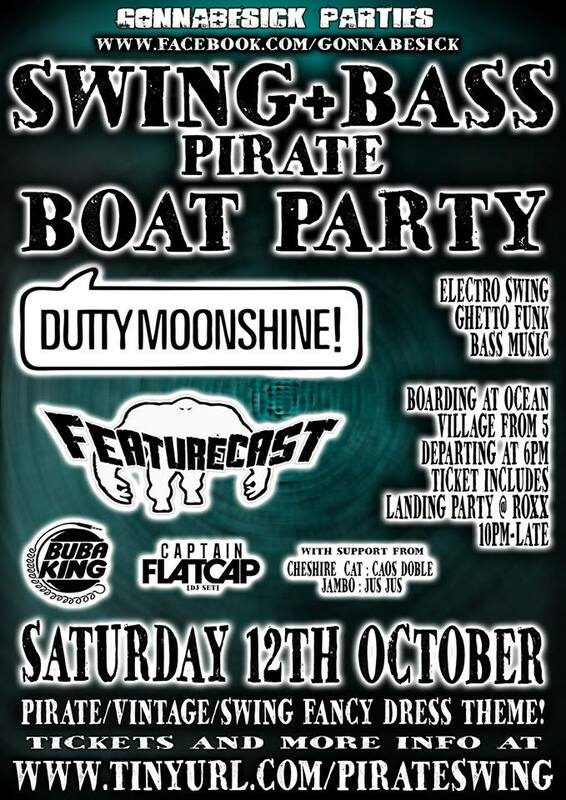 This Saturday 12th Oct 2013 we take to the high seas (well, the Solent) for a pirate-themed party featuring the very wonderful Dutty Moonshine and Featurecast among many more. Hope you can make it! Note that this is an early session – boarding is at 5pm – don’t miss the boat! Get your advance ticket pronto before they’re all gone. 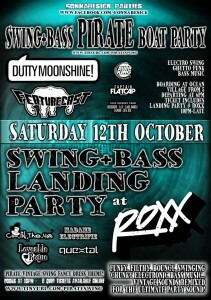 I’m playing at the afterparty at UNIT which is included in the boat ticket price, or you can come along separately to that bit. 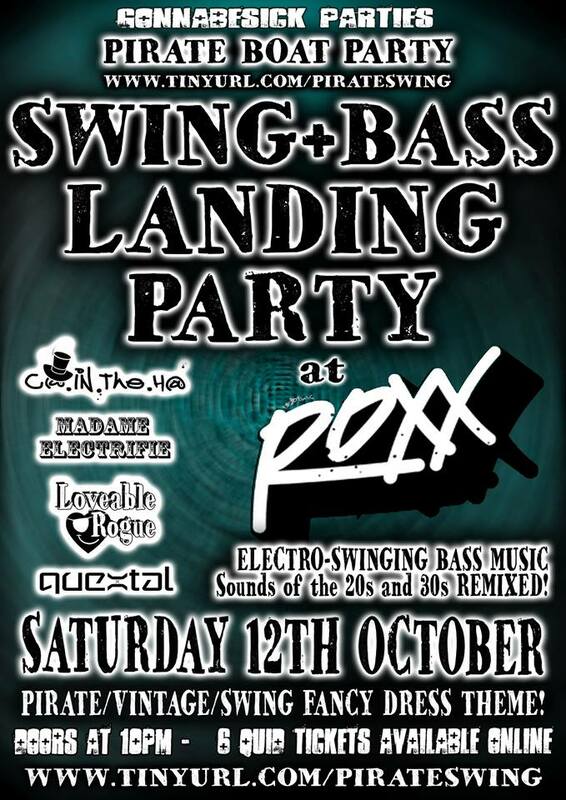 EDIT (10/10/13): Please note the afterparty has now been moved to UNIT due to Roxx’s floor collapsing! 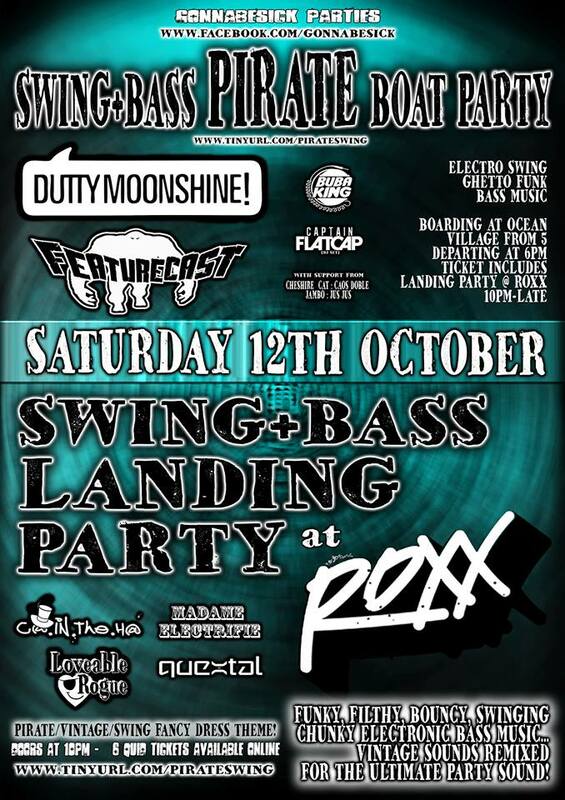 The following Friday (18th Oct) I’m on a psybreaks mission to Liverpool for Bass Laboratory at the Cabin Club, playing alongside Peak/Re:Creation, Unconscious Mind(s), Kwah and Glitchez-b-Trippin! 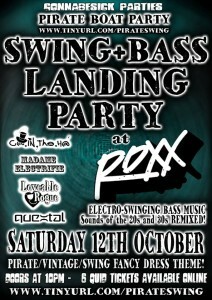 Here’s the Facebook event page for that one.